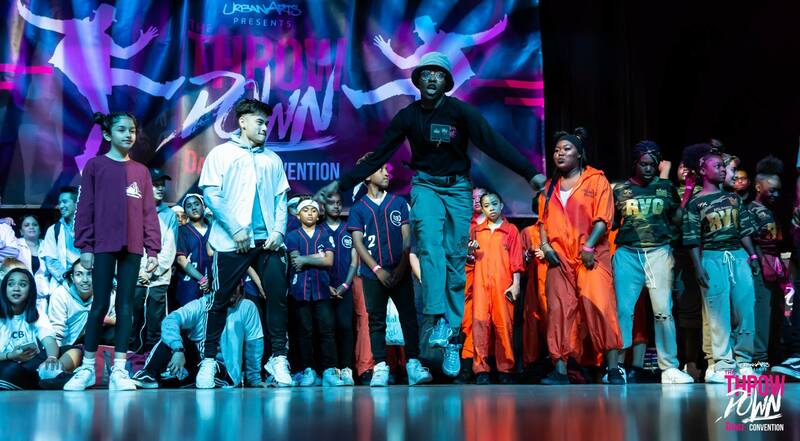 ThrowDown Dance Convention is a platform that celebrates the power and diversity of creative movement through masterclass workshops, panel discussions, and a community dance competition & showcase. The Toronto Centre for the Arts provides a lively setting to discuss, share, and celebrate our successes and to strategize new initiatives that provide equity and access to dance programming for all Torontonians. UrbanArts presents The ThrowDown – a platform aimed at stressing the importance of accessible and inclusive dance programs, highlighting the importance of physical literacy, creating more opportunities for emerging talent, and encouraging community engagement through the powerful vehicle of creative movement. Our 2018 theme was ‘Breaking Down Barriers through Movement’. Because of the generous contributions from key partners and supporters, we were able to offer this dynamic dance platform 100% FREE for participants and attendees to experience. Community Dance Competition & Showcase: School & community dance programs, troupes, and local dance initiatives across the city came together to showcase in a main event that includes expert judges, hosts, prizes and loads of fun! Panel Discussion “Creating A Balance As Communities Shift” – An expert panel explored and exchanged ideas on how to respond, advocate, and innovate in our schools, studios, and communities to provide dance programs and training for participants of all ages with different backgrounds, abilities, and evolving needs. Panelists: Dr. Iris Kulbatski (Wheel Dance), Kelly Gammie (School of Groove), Ravyn Wngz (ILL NANA LL NANA/DiverseCity Dance Company), and Diana Viselli (180Arts). Dance Workshop (HipHop) with Flow XS: ThrowDown’s MasterClass workshops provided the perfect opportunity to learn from and share experiences with leading dance artists from the Greater Toronto Area, Flow XS.